“Father, come look at this,” the Son said as He stood gazing down toward Earth at Arthur and Valencia Todd and their daughter, Lindsy Todd. The Father walked over, joined His Son, and together they looked down at the Todd family. Today is a virtual book tour stop for Brenda Gayle and her novel The Doubting Heart. Brenda will be awarding one commenter at every stop a digital download of her new short story, Father of the Bride?, the first in The Wild Rose Press’s Dearly Beloved series, and one randomly drawn commenter on the tour will receive a $50 Amazon gift card. To be entered for a chance to win, leave an e-mail address with your comment here, and at any of the other stops. A writer all her life, Brenda Gayle returned to her love of fiction after more than 20 years in the world of corporate communications—although some might argue there is plenty of opportunity for fiction-writing there, too. She holds a Master's degree in journalism and an undergraduate degree in psychology. A fan of many genres, Brenda is drawn to contemporary romance and enjoys creating deeply emotional stories with elements of mystery and suspense. Welcome, Brenda. Please tell us about your current release. 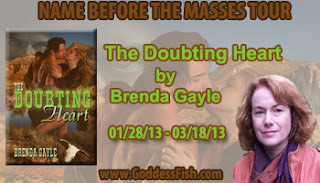 The Doubting Heart is the second book in my Heart’s Desire series. The series follows the trials and tribulations of three cousins as they try to navigate the minefield of their family’s expectations to find their own path to love and happiness. During the first book, The Hungry Heart, a fourth cousin disappears during a research project on a ranch in southern New Mexico. This becomes the catalyst for The Doubting Heart. The heroine, Shelby Holt, knows she can’t trust her heart, but when she meets the new ranch hand she doubts she can trust her head either. He looks uncannily like her mentor and best-friend, a man she respected and adored—a man she believes was murdered. Chad Graham, burned by love and war, is not quite what meets the eye. Posing as Chad Greene, he’s come to Wildhorse Pass, New Mexico, to investigate the woman making wild claims about the death of his cousin. Can the official reports be wrong? Or is Shelby trying to ingratiate herself with his wealthy family? He knows she’s hiding something. But then, so is he. In close proximity, despite the danger, sensual attraction simmers and deception deepens. Because the closer Shelby and Chad get to one another, the closer they get to the answer...and the closer they get to danger—until Shelby herself becomes the target of a killer. After I had written it, though, I felt something was missing. It didn’t seem to be enough. My thoughts kept returning to the “other” stuff that influenced the characters, but wasn’t fleshed out in the book—specifically the dynamics of the larger Graham family that had alienated both the hero, Chad, and his cousin, Michael, thus leading to the incidents around which the book was based. I could see a larger story arc forming as I began to consider the stories of Chad’s two cousins—Hunter and Anna. And the more I worked through an overarching plot, the more I realized book made most sense as the second installment in a series I named Heart’s Desire. 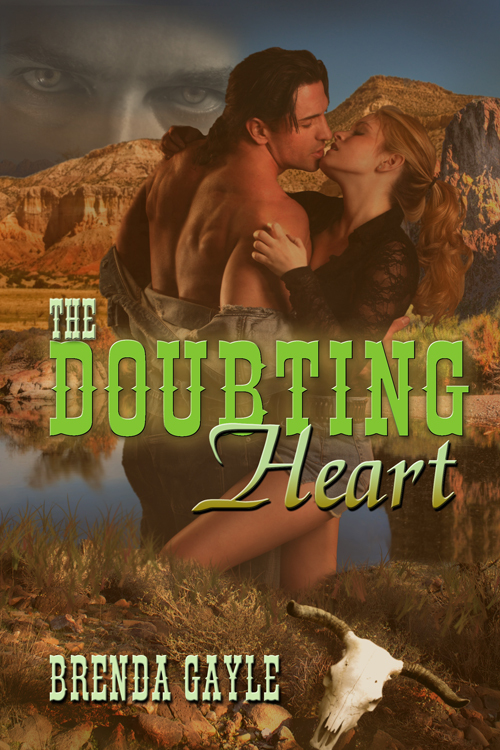 I then wrote what became the first book in the series, The Hungry Heart, and significantly revised Wildhorse Pass, renaming it The Doubting Heart. Shelby lowered her gaze, allowing it to linger on his hips, admiring the way the faded denim gently hugged the firm, rounded buttocks before falling over what she imagined were strong, powerful thighs. Then he raised his head and she was treated to a glorious view of glistening droplets of water coursing down his back, past where his waist narrowed, to disappear beneath the waistband of his jeans. At the moment, I am finishing the third book in the Heart’s Desire series, tentatively titled The Forsaken Heart. This concludes the original story arc and wraps up a bunch of loose ends from The Hungry Heart and The Doubting Heart. I am exploring storylines for other characters in the series, so look for more in this series. That’s a very interesting question. I received my first publication credit when I was 14 and our city newspaper ran a half-page article I wrote about our high school band trip to Whitehorse, Yukon. I studied journalism and worked in corporate communications for over 20 years, where I became quite accustom to seeing my byline on articles and commentaries. Writing fiction, however, is quite different—more personal. I’d always written short stories for myself, but it was a friend who suggested I tackle a larger work and try to get it published. Although I had been making my living by writing for over 20 years, it wasn’t until the publication of my first book, Soldier for Love, in 2008, that I finally felt I was a writer. I treat my writing like a job where I’m at my computer five days a week, otherwise it’s too easy for competing priorities to creep in (such as laundry and housework). I wake up at six so I have time for coffee (which my husband makes each morning) before driving my daughter to her school bus at seven. I then wake up my son, have breakfast with him and send him off to school by eight. I’m usually up in my office shortly afterwards and review my email before I start writing. I’m at my best in the morning so that’s when I write. I’ll write until noon and stop for lunch. I don’t have a word count I aim for, but I generally try to complete a full scene before I stop. If I’m on a roll, I’ll return to writing for a few hours in the afternoon, but usually I have too many other things to do: bills, promo, volunteer work, appointments, etc. My son gets home around three, my husband at four, and then I get my daughter from her bus at four-thirty. Evenings and weekends are pretty busy chauffeuring the kids to various activities so I don’t even try to write at those times. This is the (un)glamorous life of a writer. I need to write in chronological order. Even if I’m stuck on a scene and have great ideas for a later one, I can’t just skip over the problem scene and come back to it later. I will slog through it until it’s done. I may seriously rework it in revisions, but I need to get the essence of it down before moving on. I don’t tend to re-read books either and I think both quirks are related to my desire to keep moving forward. If I know what’s happened, I don’t necessarily want to go back and revisit how it came about. My first memory of what I wanted to be when I grew up is a teacher. I used to play school in my bedroom, imparting great wisdom to my dolls and other stuffed animals. I then became quite interested in personality and thought I’d like to be a psychologist. I went to university and received an undergraduate degree in that discipline and came away with the knowledge that I didn’t want to be a psychologist. After a lot of soul-searching, I decided to follow my passion for writing—something I’d secretly hoped to do but hadn’t had the courage to pursue up to that point. Thanks so much for having me on your blog today, Lisa. Like most of your followers, I am an avid reader, but also a very fickle one. Romance is one of my favorite genres, but not my only passion. I love biographies, historicals, and women’s fiction, among others. I’d love to know what type of books others are into. Do you stick primarily with one genre or do you read many? Have you read any good books you’d recommend? You're quite welcome, Brenda. Folks, don't forget to leave a comment here and at any other tour stops for a chance to win the gift certificate! 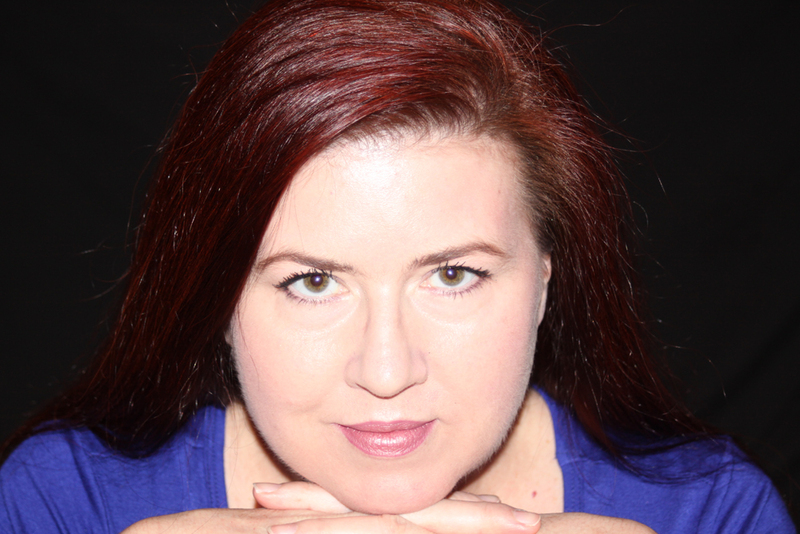 The Writer's Chatroom presents memoirist Karen Fisher-Alaniz. 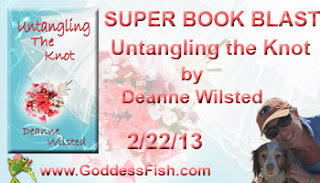 Today, the blog is a virtual tour stop for Deanne Wilsted as she promos her sweet contemporary romance with some inspirational elements novel, Untangling the Knot. 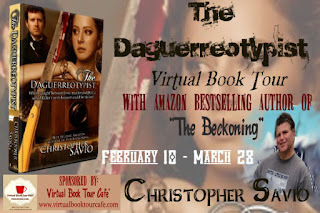 Deanne will be awarding a $10 Amazon or BN.com gift card (winner's choice) to a lucky person. Enter to win using the form below. Mandy’s accusations rang through Gabriella’s mind and guilt practically doubled her over. She dropped her bags inside the door and went into the bathroom to splash cold water on her face. The image that met her in the mirror had shame written all over it. What had she been thinking? Ryan and the kids belonged to Mandy and she had been acting like a lovesick teenager. Scenes from the beach flashed through her mind; Ryan’s smiles at her and the desire she’d had to reach out and kiss him. Filled with self-loathing, she shook her head to get rid of the images. Her dropped bags at the front door mocked her, so she picked them up and dragged them to her bedroom then crumpled onto the bed. One hand over her eyes, she let the images flood her. With her free hand she reached over and switched on her radio hoping to block out the accusing voices in her head. Her favorite news show was quizzing celebrities on the week’s news, but something about their conversation alarmed her. It took a moment to realize what it was. She stared at the radio, stunned. If Whose News was on, it meant it was Sunday . . . Sunday! And, for the first time in years, Gabriella had forgotten to go to Mass. With an English teacher for a mom, Deanne Wilsted, grew up reciting conjugation instead of nursery rhymes. Now, forty years later, she's sharing that special skill through her writing and her mothering. Her first book, a contemporary romance called Betting Jessica, was released October 2011. 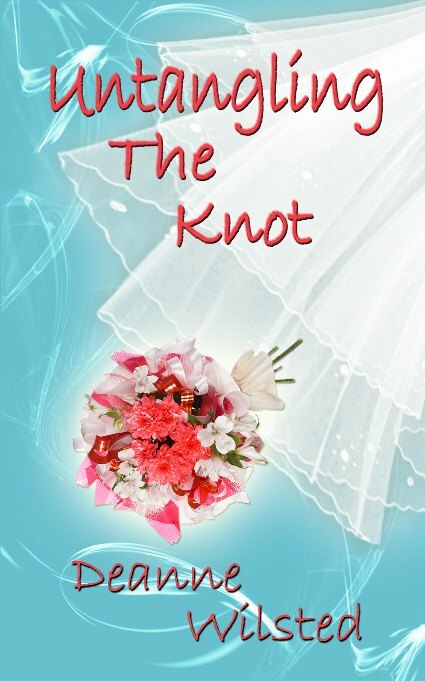 Her second novel, Untangling the Knot, is now available from Soul Mate Publishing. She is currently marketing her third book for publication and writing her fourth, fifth, and sixth while blogging about the crazy stuff she overhears while writing. The Writer's Chatroom presents freelance writer and editor Lisa J. Jackson. All Kathryn Meyer Griffith’s Books available at Amazon.com here. Today is a virtual book tour stop for novelist Christopher Savio and his novel The Daguerrotypist. Two signed copies of the book are going to be given away - see the entry form below. 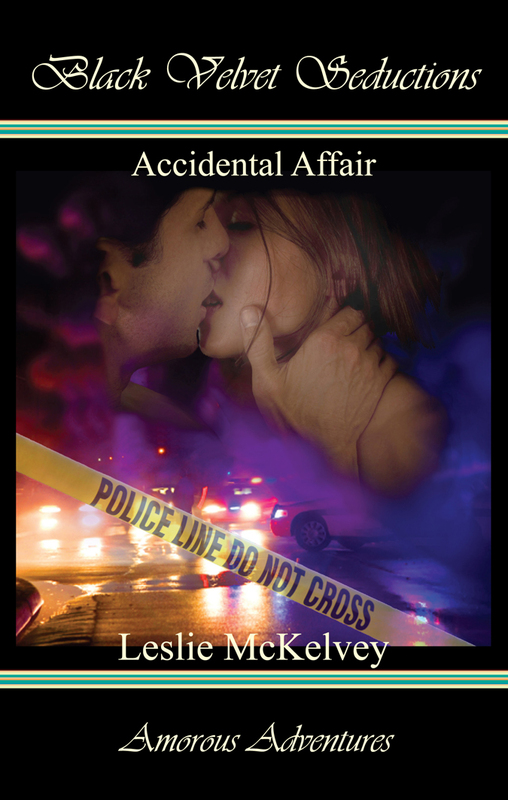 Today we get to learn a bit about romantic suspense author Leslie McKelvey as she stops here along her virtual book tour for her debut novel, Accidental Affair. Leslie's publisher, Black Velvet Seductions is giving away a $25 Amazon gift certificate to a lucky commentor. To be entered for a chance to win, make sure to leave an e-mail address with your comment below. And for more chances to win, follow the tour and comment at other stops. Bio: Leslie McKelvey has been writing since she learned to write, and her mother still stores boxes of handwritten stories in the attic. Leslie read her first romance at 12 and was hooked. When her high school Creative Writing teacher told her she needed to be a novelist, she decided to give it a try. Finally, at the ripe old age of...forty-something...her debut novel, Accidental Affair made it into print through Black Velvet Seductions Publishing. The publisher has also contracted two more manuscripts, which will follow Accidental Affair shortly. Leslie is a war-veteran who served with the U.S. Navy during the Gulf War, and she was among the first groups of women to work the flight deck of an aircraft carrier. During her five years of service she was stationed at NAS Miramar (think Tom Cruise in Top Gun) and was an F-14 Tomcat mechanic. While in San Diego she spent time on the carriers USS Independence, USS Ranger, USS Lincoln, and the USS Nimitz. The final two years of her enlistment were spent on Guam (on an Air Force base, oddly enough) and her squadron frequently deployed to Japan and the Middle East. 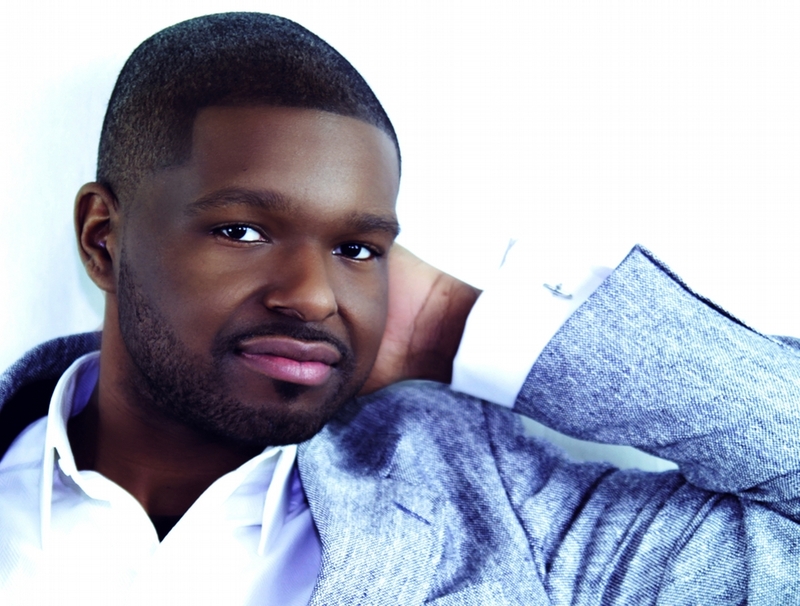 Welcome, Leslie. Please tell us about your current release. Oddly enough (or not), dreams often inspire what I write. I love to sleep (like every mother with children), and part of the motivation, aside from needing rest, is that I have vivid, Technicolor, action/suspense dreams. I’ll usually have one scene in a dream that spurs me to start writing, and the particular scene for Accidental Affair was the opener in which the heroine almost runs over the hero. The setting was inspired by a family trip that led us from California to Ohio through Washington State, Idaho, Montana and the Dakotas. In addition to the awe-inspiring scenery, what I remember most about Montana was the sign we saw at almost every off-ramp, NO SERVICES. As a native of California that was one of the strangest things, to travel MILES and see NOTHING. It was awesome, but also a little scary. If something happens out there in the middle of the wild, help is an awfully long way away. Laine took a step then stopped. What was she doing? The side of a deserted highway was no place to be a hero. She looked at the prone figure for a moment, debating with herself. A low, pained moan escaped the person, and the mournful, gravelly sound spurred her. Laine squared her shoulders. Right place or not, she wasn’t the type to run, and she knew there was no way she was going to just leave an injured person in the middle of the road. She ran around the front of the Rover, looked down at the person for a split second then knelt at their side. It was a man dressed in camouflage pants and a khaki shirt, and from the stained, disheveled state of his clothes it looked like he’d been rolling in the dirt well before his tumble down the embankment. He lay on his side with his back to her, he wasn’t moving, and the silence hung heavy. She waited a few moments, and as each second ticked off her alarm grew. Laine hesitated then pressed two fingers into his neck to check for a pulse. It was weak and thready but it was there, and she sighed in relief. Grasping his shoulder, she rolled him onto his back. Dark red blood stained the upper left side of his chest and Laine drew back, startled. That she had not expected. It took her a second to compose herself, and she reached for the collar of his shirt to get a look at the wound. 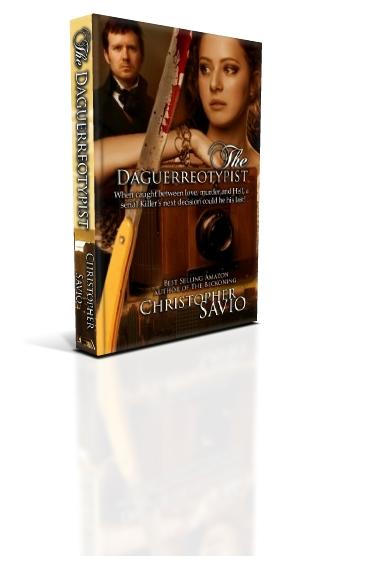 Before she could peel back the material his fingers snaked around her wrist. 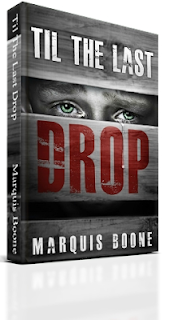 She jumped and fell onto her backside, her heart nearly exploding from her chest. For all who fall in love with Jack Vaughn’s best friend, get ready. The next story slated for release is Special Agent Ted “Bear” Bristol’s, tentatively titles “Right Place, Right Time.” The 6’8” FBI agent saves wildlife photographer Beth Drummond’s life and loses his heart to her in the process, a dangerous journey that tests the boundaries of loyalty, friendship, and love. I’m also working on a story for another secondary character from Accidental Affair, Sheriff Grant Donovan. It’s still in the creation phase, but I do believe Laine, Jack, Bear, and Beth will make an appearance. It was hard to get started on something after Bear (I’m totally in love with his character) but my editor asked me, “Would Bear want to be the reason you don’t write anything else?” I know the answer is “NO” so I forced myself to break up with him (cue sad music and sobs here) and now I find myself completely infatuated with the fictional sheriff (cue bluebirds and Cupid hearts). Crazy, I know, but that’s part of the appeal of being a writer in my genre. I get to have imaginary affairs with all my leading men…. I’ve considered myself a writer for as long as I could write, but I didn’t consider myself an author until I received my first publishing contract, which was in August of 2010. I remember the date because my youngest son broke his leg on August 2nd of that year. When we got home from the hospital (a week later after surgery and a titanium rod in his femur) I almost threw the contract out, thinking it was another rejection letter from yet another publisher. Imagine my surprise when I opened the envelope instead of just tossing it in the recycle bin. Best way EVER to end an otherwise awful week! I’m a stay-at-home-mom with three boys, 18, 14, and 9, and a cop’s wife, so I already have a full-time job. I write whenever I can. I spend most of my time (when I’m not tending to someone else’s needs) sitting in front of a computer. I make an effort to write something every day, but I am not always successful. Many times life gets in the way, and I just have to roll with it. I am almost always thinking of writing, working out scenes in my head, and I’ve had to let my family know that if they hear me talking to myself I’m not going crazy (well, not in the technical sense). I’m working on dialogue (great excuse, eh?). Many times I’ll be up until the wee hours of the morning working on a story, and I do mean WEE (circa four or five a.m.). It’s quiet then because everyone else is in bed, the phone isn’t ringing, and the television is OFF. Good times! I can story-hop with more speed than the fastest bunny in the world. I have half a dozen completed manuscripts and at least twice that number in various stages of production. I write until I either run out of ideas for a particular story, or until another, stronger idea takes over my brain. I’ve discovered I have to put down what’s in my head or I lose it, so when a great story idea appears I’ll drop what I’m working on to get the new one on paper (Microsoft Word in today’s world). After I get the initial idea down I may go back to what I was previously working on, or I may be inspired to keep going with the new one. I plan to finish them all eventually, but we’ll see how that plays out. I’ve always wanted to be a writer, but in junior high I also wanted to be President (thankfully, I recognized my error about the latter and abandoned the idea not too long after that). In high school I wanted to just survive high school, but the last year or so I decided I wanted to be a dancer (in addition to being a writer). I took classes at the local junior college (GREAT performing arts program) and performed in several productions there. I’d taken dance for almost a decade as a child but gave it up when I became a teenager and was more interested in socializing than posture and ballet positions. An injury ended that dream, so it was after that I really focused on writing. Still, nothing happened for almost 20 years, but I kept writing. Just like my teacher told me…. I’m an amateur photographer, and I have extensive training in firearms and police tactics. I finished 2nd in my sniper class (and I was the ONLY female), and SWAT training was AMAZING. Those guys have a tough job, but if I could, I’d seriously consider turning back time and pursuing a career in law-enforcement (it would certainly give me a LOT to write about and I do love those predominantly male environments!). I tell my hubby all the time he’s lucky to do what he does (they’ll never let ME dangle from a wire 100 feet beneath a helicopter as I’m flown into an illegal pot farm), but at least I can live vicariously through him. Cops (and the military and firefighters) never have to wonder if they make a difference in the world. I often wonder what I’ve done to contribute to society, and then I think if the books I write make someone smile, help to relieve stress, or provide an escape, I’m happy. I may not have saved someone’s life, but hopefully I made a few of their hours a little more enjoyable. Readers, don't forget about leaving a comment for a chance to win the gift card. 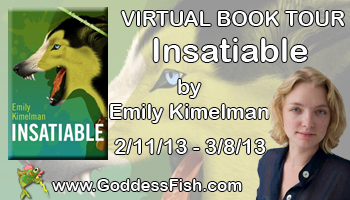 Today, Reviews and Interviews is a virtual book blitz tour stop for a dark murder mystery, Insatiable, by Emily Kimelman. 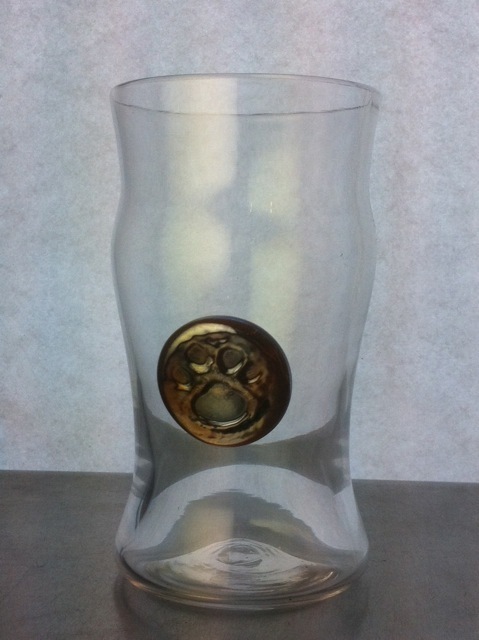 Emily will be awarding a hand blown pint glass that her husband (a third generation glassblower) made for the launch of her first novel, Unleashed, to a randomly drawn commenter during the tour. If you'd like to be entered for a chance to win, make sure to leave an e-mail with your comment below. And to increase your chances of winning, visit other blog stops and leave comments there. The Writer's Chatroom presents writer/poet/translator Mark Statman. Today, Reviews and Interviews is a tour stop for the book The Arts - Angels Track 1: Drawn to You by Janel Rodriguez Ferrer. Janel will be awarding Winner's Choice of a $25 gift card to iTunes (music) or, Capezio (dance), or Utrecht (art supplies) to a randomly drawn commenter during the tour. If you'd like a chance to win, leave an e-mail address with your comment below. And to increase you chances of winning, visit other tour stops and leave additional comments. Like her main character, Gina Santiago, Janel is a Nuyorican who attended a Manhattan high school of the arts as an art major. 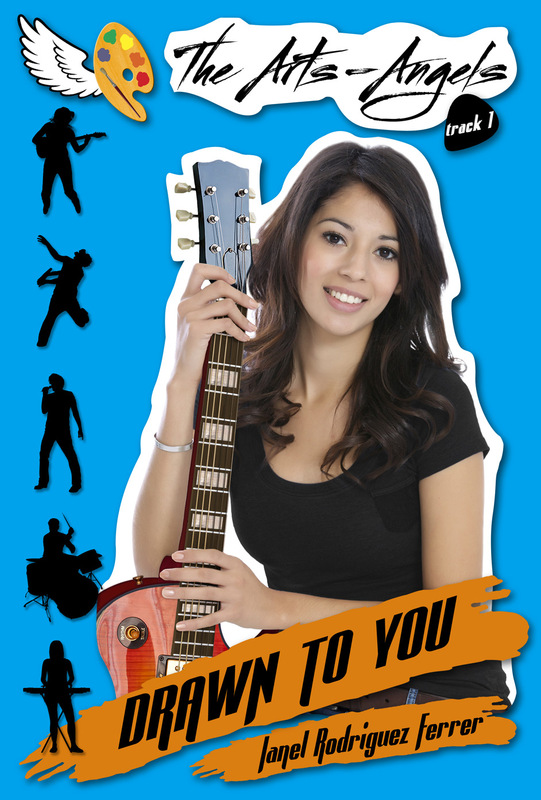 Unlike Gina, she isn’t very good at guitar and doesn’t have a rock band to call her own. Truth be told, she never dreamed of becoming a guitarist. Instead, from the time she was a tween, she dreamed of becoming a published author of a book series. And since you’re reading this, you can see that her dream has come true! Her first hint of an idea for The Arts-Angels series began way back when she received a pendant of St. Michael the Archangel for her sixteenth birthday. She lives with her twin sister, Jennifer (who got a pendant of St. Joan of Arc on that same birthday, but hasn’t written any books about it) in New York City. Welcome, Janel. Please tell us about your current release. When Gina Santiago, a thirteen-year-old “Nuyorican” with rock star dreams, is accepted into the prestigious New York Academy of Arts and Talents, she’s completely and totally bummed. Why? Gina got in for art—not music, like she really wanted. Plus, the school is on Manhattan’s Upper East Side (in other words, filled with rich kids) and Gina doesn’t think rice and beans mix too well with caviar! It’s Gina’s mother who’s all excited. She’s an artist, too, and wants her daughter to follow in her footsteps instead of those of her father, Michael, who also had rock star dreams but died before ever achieving them. But it’s the footsteps of her guitar hero, Angel “Wings” Dominguez, that Gina really wants to walk in. And wearing a medal of St. Michael the Archangel in honor of both her father and her idol, Gina decides to chase after that dream—even if it means battling her mother, rival guitarists, mean teachers, and snobby frenemies do it. I wrote the very first draft of this book when I was nineteen years old. I grew up loving to read (and as a tween became particularly obsessed with the Trixie Belden series) and I knew even from very early on that I wanted to be a writer of books for young people. I was always writing stories in blank books or in loose-leaf binders. Sometimes I wrote magical adventures, other times school-based stories, etc. I also kept trying to write a whole book, but usually didn’t make it past the first chapter. I became a rather prolific first-chapter writer. 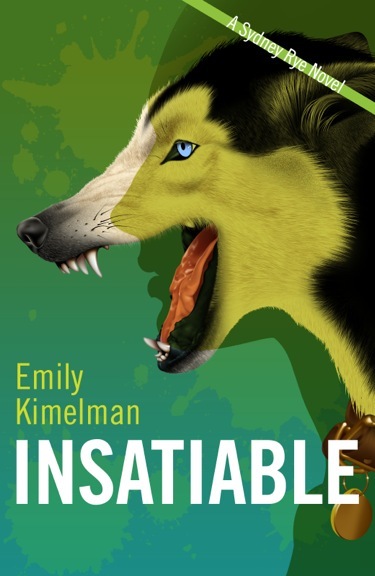 What had been a constant goal, though, was to write the kind of book (and series) that I would have loved to have read and collected when I was a tween. I believe that The Arts-Angels would have fit in very well with the other titles in my personal library of kids’ books back then, and that it does so even today: I keep an extra copy of my book just to literally sit on my bookshelf next to the other paperback series currently out for tweens that I have collected for myself! When I stomped into the dance studio in my combat boots, every dance student’s head turned. As I looked at the sea of barely clad, pastel-colored bodies, I felt like a snowman at the beach. I found a corner between two mirrored walls near the piano, and settled in. Soon, the pianist was playing, the teacher was counting off steps, the dancers were dancing, and I was drawing. There was a comfort in the mutual respect between the dancers and the artists as we each did our own thing. After a little while, the teacher asked a student to demonstrate a particular dance sequence to the rest of the class. Sage—the ballet dancer who had been nice to me the day before! I sat up straighter. She turned out to be a pretty amazing dancer. As I continued to watch, I heard something to my right. I turned to look in the direction of the sound. A boy was bent over, looking at me through his legs. He looked Indian—the kind from India, not the Native American kind. His dark hair was almost touching the floor as he pointed off to the side and mouthed out two words. I shook my head. “What?” I mouthed back. He meant Sage . . .
I’m editing the second book in The Arts-Angels series, which I plan to have out by April 22nd (which is Earth Day, but is also a specifically important date in the series). It is exciting because The Arts-Angels put out their first single and begin to promote themselves by using a clever marketing ploy. Willa’s back, of course, and she wants them to perform at her 14th birthday party. Much to Gina’s horror, all the other Arts-Angels want to do it! And on top of that, Uncouth Youth, their rival band, gets a lot of its own publicity because their lead guitarist, Julius Dubois (the son of a famous rock guitarist and Gina’s nemesis), gets his own reality show, so he has cameras following him all around school. And the book ends with a bang: a battle of the bands! When I was in the fourth grade! I had written a short story about an obnoxious balloon for a school creative writing assignment and the teacher chose to read it aloud to the class. My fellow classmates laughed in all the right places and basically responded as though listening to her read a legitimately published work. After that I just knew writing was something I was going to continue doing because it was fun, it felt right, and other people enjoyed my work. I still have a day job to pay the rent. Maybe one day I’ll be able to support myself as a writer. In the meantime, I have an office job Monday through Friday, and my busy days are filled with paperwork, computer work, phone work, and customer service. There was a time in my life when I was a nanny and I miss those days, sometimes! I usually don’t get the time to write until late in the evening, when everything else in my life is taken care of—at least to a certain extent. I’m a night owl, anyway, so this works out for me. I don’t know that I have any interesting writing quirks. I do know I have the bad habit of using ellipses points all time . . .
A writer. :-) As I said above, it was something I knew I wanted to be since I was in the fourth grade. But I also remember one time when I was in the first grade and we had an assignment to draw ourselves in our future profession—and I drew myself as a firefighter! I remember I drew myself in profile, in uniform, putting out a fire with a hose. My first grade teacher flipped out and kept showing it to other teachers and adults who entered the classroom. I am an artist, and my ability to draw had already been noticed in kindergarten. But that wasn’t the whole reason why she kept showing it to people. It was because there were no female firefighters at the time. I guess I was a little first-grade feminist—and didn’t even know it! I invite them to come visit my website. The cover of Track 2 will be posted there soon. Also, if they like, my readers can submit artwork to add to the “gallery” there. Finally, I will be posting some interesting interviews with fellow authors on my blog later this month as well. Thank you! You're welcome, Janel. Happy touring! Readers, don't forget to leave a comment for a chance at the gift card giveaway.